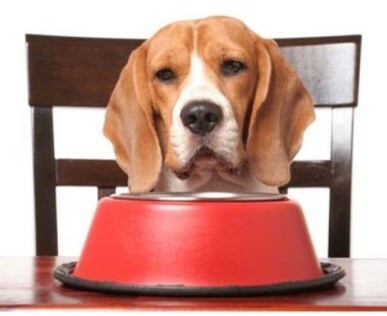 A favored saying of one of the netlogx owners is “eating your own dog food”. While the thought may sound a bit unappetizing, the meaning behind the saying speaks directly to how business is done at the company. Project management is one of the key services offered at netlogx. Recently, I had the opportunity to be part of the planning team for attending the Medicaid Enterprise Services Conference (MESC), a five-day event held in Charleston, South Carolina. The netlogx methodologies used for managing client projects was used for planning the setup of our booth and for scheduling attendance at the various sessions. While this was the second year for netlogx to have a booth at this particular conference, it was my first time to be part of such a large-scale event. Being part of the planning team and attending the conference gave me the opportunity to see how netlogx practices project management from start to finish. From the kick off meeting to the end of the conference, everything went smoothly thanks to the benefit of lessons learned from the previous year, great planning, great tools and a great team. A project manager was assigned, a shared project website set up, a schedule was established and frequent meetings were held in advance of the conference, all resulting in a long list of action items. The planning meetings included discussions and assignment of tasks for the design and set up of the booth, ordering and delivery considerations of all of the many items needed for the booth, budget, travel planning, promotional materials, mapping out attendance at the educational sessions, talking points and elevator speeches, website pages dedicated to the conference, effective networking. Additionally, some team members, myself included, were presenting at some of the educational sessions so planning was needed to prepare the presentations, coordinate the panel discussions, and prepare white papers for the topics being presented. While all of these tasks may sound overwhelming, I was amazed to see how it all seemed to come together in a fairly effortless way thanks to great planning and project management. The result was that all of the materials arrived and matched up to the inventory list, the team worked together efficiently and quickly to assemble the booth, everyone knew where to be and when throughout the conference and opportunities and relationships were developed. While other vendors struggled to get their booths set up and some were without materials that did not arrive until two days into the event, that was not the case for us. The tear down of the booth and packing up of materials to take back was done in record time, again thanks to good planning and team work. Although the days were long and I was exhausted by the end of the conference, it was a wonderful opportunity to get a first-hand look at what good project management is all about and how it can make a big difference in achieving success.